Well, getting this up yesterday clearly didn’t happen, but what can you do? Seeing as I didn’t get a single dragonfly swarm report all week and have nothing to report for Swarm Sunday, I’m going to do my Friday 5 post today. Sunday is just as good as Saturday anyway. 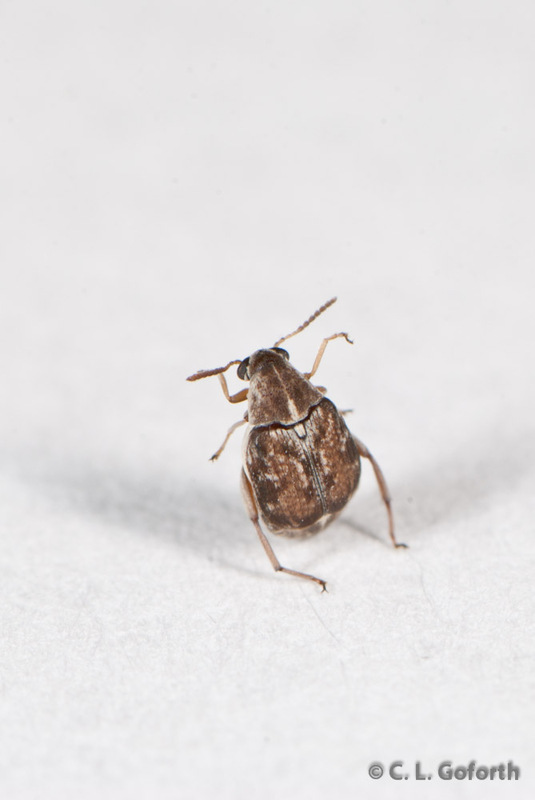 Some of my favorite beetles in Arizona are the seed beetles in the family Bruchidae. Someday I’ll write a post about a fantastic behavior they have that one of my classmates works on, but for today I’m going to tell you a story in photos. 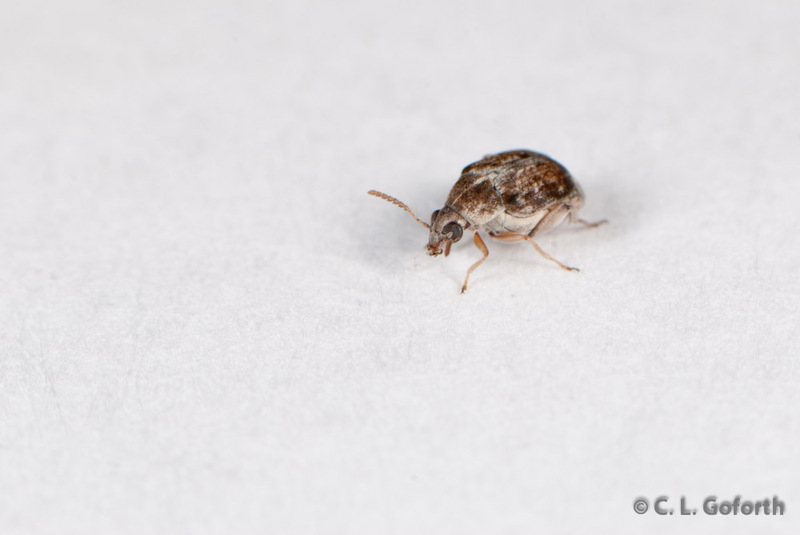 This is the story of the Photographer and the Annoying Little Seed Beetle. I hope you enjoy it! Once upon a time, there was a photographer. She liked to do studio portraits of insects as a way to practice using her camera flashes, so she brought many insects into her house to photograph them. One day, she came upon an adorable little seed beetle. “What a fabulous beetle!” she exclaimed! “I MUST photograph that one.” So she scooped it up and brought it inside, determine to get a great photo of the little beetle. 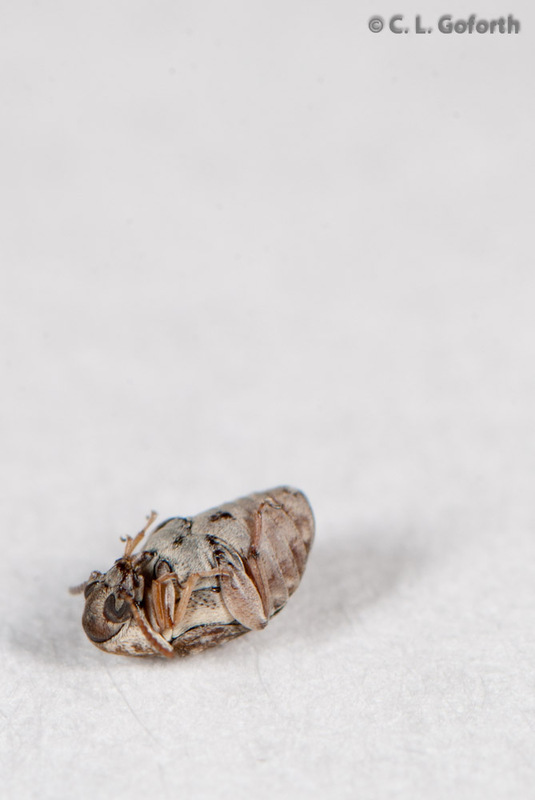 She set the beetle down inside the studio, but it played dead! “Look at me!” it mimed. “I’m a dead beetle, and not very tasty, so leave me alone! So she waited. And she waited. And she waited some more. Suddenly, whoosh! The beetle had righted itself and run across the kitchen counter in the blink of an eye! The photographer had to scramble to catch it before it jumped off the counter and was lost, but she grabbed it and put it back in the studio. It played dead again. So the photographer waited. And she waited. And she waited some more. Suddenly, whoosh! Run run run as fast as you can! You can’t catch me, I’m the seed beetle man! Once again the beetle had jumped up and run across the counter. Once again she grabbed it right before the beetle disappeared off the counter and placed it back into the studio. “Maybe now I will get my good shot,” the thought. It was an accident though. She had wanted to take a photo of the beetle playing dead, but the beetle jumped up right when she pushed the shutter release button. She ended up getting a shot of the beetle in the process of flipping itself right side up. In the excitement of getting the shot, the beetle jumped off the counter and she had to search for it on the floor. Thankfully she found it! Her husband never would have forgiven her for releasing insects into the house. 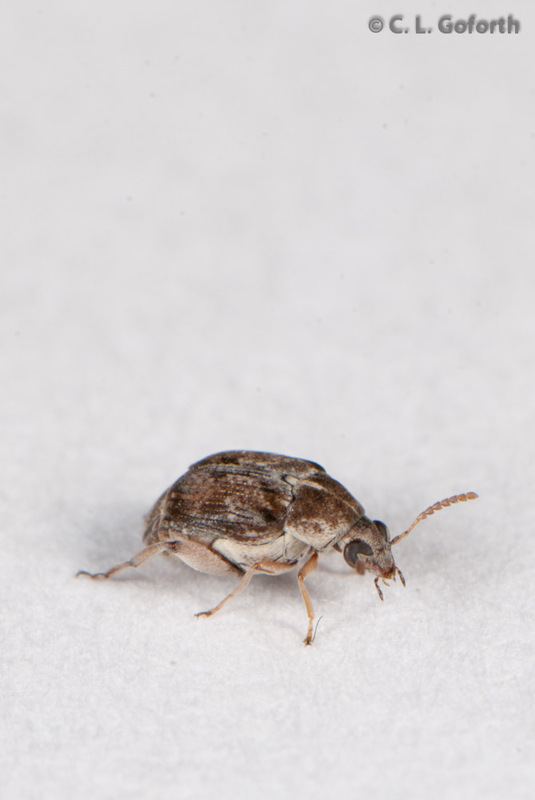 The photographer spent over an hour photographing the little seed beetle. As adorable as it was, it wasn’t cooperative at all, so she never did get the photo she wanted. She imagined that the beetle was laughing at her. And that, my friends, is the story of how I was defeated by a stupid little seed beetle. That was the most frustrating insect I’ve ever tried to photograph! If it wasn’t playing dead, it was on the move. Normally when I’m irritated that I can’t get the shot I want it’s because I haven’t considered a camera setting that would work better, i.e. it is my fault. This seriously annoying photo shoot was all the beetle’s fault! And then I moved, so I never did get the really great shot. Sometimes that’s just how life works though. If there’s a moral to the story I shared, that’s it. If you haven’t already entered my contest and would like to do so, the deadline is tonight at midnight, Pacific time. There are some great entries already, but I’m excited by the great ideas that you all have come up with so far and I’d love to see more! Good luck! Ah – the real world of insect photography. Well done – both of you! W.C. Fields is supposed to have said (jokingly): “Never work with children or animals”. I suppose that includes insects. I guess it’s only the brave who ignore that advice, but the rewards can be great, as your other photographs demonstrate. I too have had my moments of frustration, mostly with fast-moving insects. 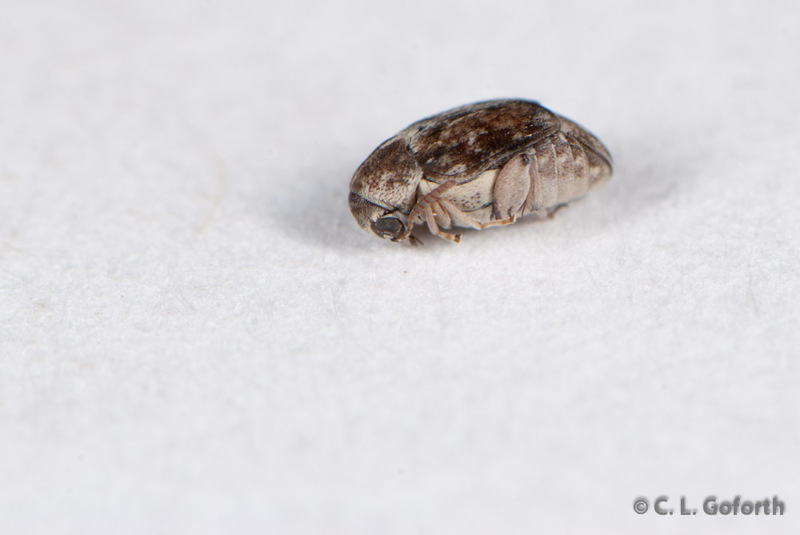 At the other end of the speed scale, dead insects can be a bit boring, and the image loses its appeal when you know. Great little story! Maybe not suitable for your contest, but an idea for a rainy day might be “dragon flies in movies and literature.” I was prompted by a Chinese movie, “Aftershock”, which I saw recently and which featured a dragon fly swarm (albeit computer generated) at the very beginning. In the movie it portends an earthquake. (Another idea: Is there any evidence for this phenomenon in real life? I have heard of other animals becoming nervous, fleeing tsunamis, etc.) BTW, the movie, which is in Mandarin with English subtitles, is quite good. How funny! Silly little seed beetle! Your husband shouldn’t be upset over a single little beetle. I once bought a thousand crickets to feed my lizards, and as I upended the box over the cricket bin, I misjudged. At least 500 crickets were set loose in the house. My bad.